An East St. Louis museum dedicated to a renowned activist and dancer faces an uncertain future. 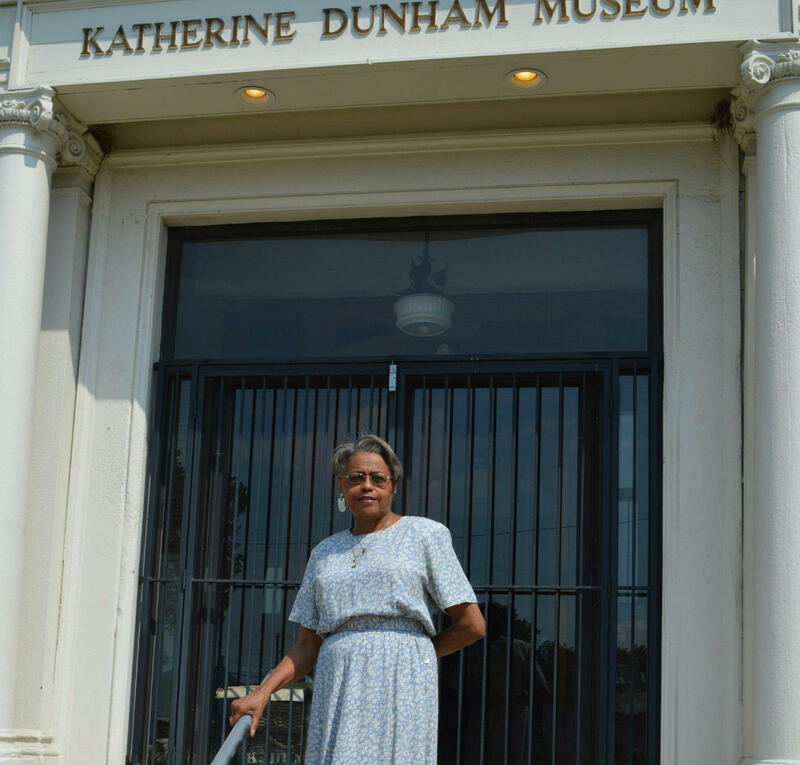 The museum honoring the late Katherine Dunham owes $7,000 in back property taxes. A delinquent tax sale is set for Nov. 10 in the hopes that someone will pay the bill as an investment. When Dunham died in 2006, the dancer and activist apparently willed the museum to her assistant, as well as the organization. The assistant has since died, but her heir now has an interest. Because the deed is in the name of an individual as well as the organization, the 501(c)3 nonprofit that runs the home does not have tax exempt status. St. Clair County will continue to bill for property taxes until personal ownership is renounced. Leverne Backstrom, the museum’s executive director, said the museum is a treasure that must be saved. “I think it’s important for young people to understand that there is some good in East St. Louis. And I think when you have pride in something it just propels you to the next level,” Backstrom said. Cheeraz Gorman is part of a small group working to help alleviate the situation. The advertising professional said the stakes are high for a number of reasons. “It’s not merely about saving Ms. Dunham’s legacy; it’s about saving East St. Louis,” Gorman said. But there’s disagreement about how the issue of personal ownership will be resolved. Backstrom hoped that presenting the county with a simple death notice would suffice. But County Board Chairman Mark Kern said the ball is in the museum’s court, that it will have to find the heir of the person who inherited from Dunham and get a signature on a quit-claim deed. Still, Kern is hopeful the situation can be remedied. “She is an internationally respected person and we want to make sure her legacy is alive and well in St. Clair County,” Kern said. 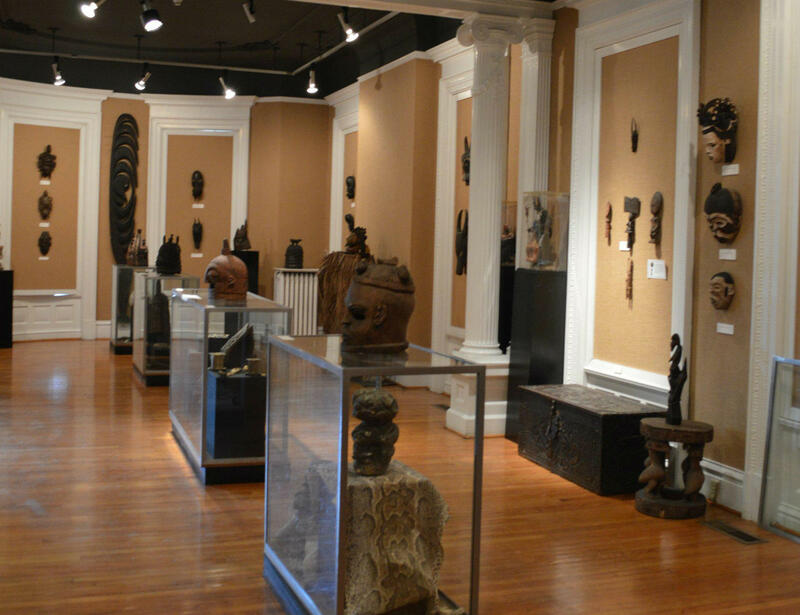 The Katherine Dunham Museum is supported by memberships, donations and a few grants. Its monthly budget runs from about $4,000 to $6,500 a month. Learn more about the history of the institution and its namesake in this 2013 St. Louis Public Radio story. Read more about how the Dunham technique lives on in dance instructor Keith Williams in this St. Louis Beacon story. Erin Williams focuses on the uncertain future of the Dunham legacy. discrimination while traveling the world with her troupe, the Katherine Dunham Company; and, most importantly, she oversaw the day-to-day operations of the Katherine Dunham Museum in East St. Louis, housed just across the street from the three homes she owned and occupied during her time in Illinois. Unfortunately, memories can’t make money. And that’s what you need in order to run a museum. Though the museum receives grants from time to time, there’s no trust or steady income, visits are by appointment only, and paying members of the museum are few. In fact, if you call the number listed on the website to book a tour, you get the cell phone of Laverne Backstrom, board president of the Katherine Dunham Centers for Arts and Humanities - and tour guide for the museum. Unlike the lights and the phone line at the museum, she can guarantee that her phone won’t be turned off. “I think that her plan was by continuing to certify instructors, she then had these persons understand that they were more than dancers, that they were perpetuating a way of life, and it was the way that she thought that life ought to be lived,” says Backstrom, a retired schoolteacher. Ideally, Dunham envisioned the museum as a bastion for artist to dance, make music, and learn about other cultures – and for the most part, that’s still happening. The studio located in the backyard still serves as a place for instruction and weekly classes, and there’s still a yearly intensive held at Wash U every summer. If she were ever in financial trouble, Dunham could quickly call on friends like Harry Belafonte to help her cover costs. Her daughter, Marie-Christine, lives in France and leaves the day-to-day operations of the Museum in East St. Louis to the Board. The Whitaker Rehearsal Hall at the Touhill Performing Arts Center on the University of Missouri St. Louis campus was filled last week with a sense of anticipation, excitement -- and a healthy dose of underlying tension. An East St. Louis museum dedicated to late choreographer and civil rights activist Katherine Dunham is getting a $100,000 state grant for fix-ups, but an unpaid utility bill could cast the site into darkness. The Belleville News-Democrat reports administrators of the landmark need to pay St. Louis-based Ameren $486 by Thursday to keep the lights on. Dunham considered East St. Louis her adoptive home. She pioneered a dance technique combining Caribbean and African styles. She died in 2006 at age 96.